Even in the era of fancy omega-3 eggs, brown eggs retain a certain rustic allure. 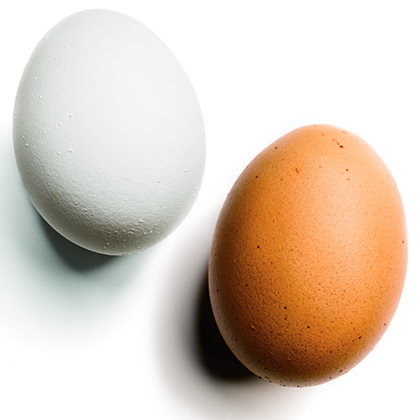 But a large brown egg contains the exact same proportion of white and yolk, and the same nutrients, as a white egg. Brown eggs simply come from a different breed of hens, which are often bigger birds and require more feed than standard white-egg-laying Leghorns. That's why brown eggs cost a little more.